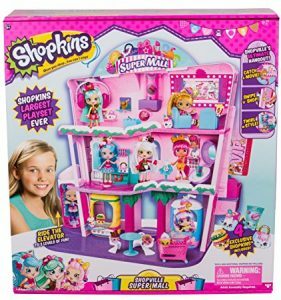 On Amazon right now you can get this fun Shopkins Shoppies Shopville Super Mall for just $56.97! This includes 4 exclusive Shopkins. This is a 29% savings and will ship free!